“It’s a real nightmare trying to make a living as a writer”. Er . . right, mate. I’ll take your word for it (but not your course). As someone who makes his living from the teaching of creative writing I watched warily as the Hanif Kureishi story from the Bath Literature Festival unfolded last week. I had really begun to think that the argument about ‘whether you can teach creative writing’ was dead in the ground, but I was wrong. And the tremors that began in the staid and elegant streets of Bath have even rippled over the South Atlantic. This morning I receive an email from Jorge Fondebrider in Argentina with a link to Ñ, the magazine supplement to the newspaper Clarín, and the most important cultural weekly in the country. The article suggests that ‘Kureishi’s bitter declarations belong to the hateful species of writers who go to literary festivals in order to spend their time complaining about how much they hate having to do publicity for their books.’ Indeed, perhaps Hanif was bored, and wanted to get something off his chest, or just rile someone. And that’s understandable, although not very professional. But he certainly knew that his outburst would get him publicity for his new novel, The Last Word. I don’t wish to add to that publicity, but do feel the need to make a contribution, as I am getting tired of the argument he has resurrected. 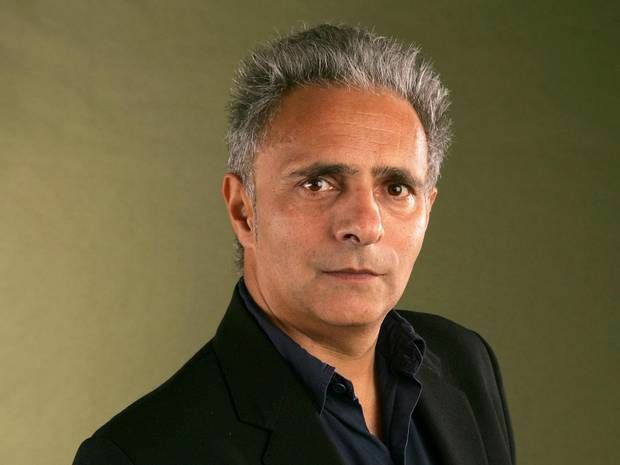 Kureishi has frequently been outspoken in a heavy-handed, bombastic way and he is a didactic writer – which to my mind is at odds with being a good novelist. But he has also –and this might come as a surprise to many – written extremely lucidly on the practice of creative writing. What shocked most people about Kureishi’s rant was the sheer, brazen hypocrisy of it all. Here is someone who makes his living from an activity that he evidently despises – much as he appears to despise the students he teaches – and yet is content to pocket the salary that accompanies this fruitless endeavour, without any consideration for either the people who have paid big fees to study at the university where he teaches (Kingston) or the consequences for the rest of us in having to pick up the broken crockery after this moribund and incredibly tedious domestic turbulence, once again. I am not even convinced how much of Kureishi’s polemic was for real, nor do I really care. The fact is that we have all had thoughts like Kureishi’s on a bad day, but we get over it. The evidence, as Tim Clare’s entertaining response to Kureishi: Can Creative Writing Be Taught? Not If Your Teacher’s A Prick – is that many people get quite a lot from a Creative Writing course. From my own experience (I teach at Cardiff University) I would venture that MA students are not so naïve as to expect to make it into the upper zones of the literary stratosphere simply by gaining a qualification in Creative Writing. Most of them would accept that we, their tutors, cannot ‘teach them to write’, but that we can make them aware of certain techniques and strategies by which they can help themselves towards becoming better writers. Most of them would also accept that real talent – whatever that is – is rare (though whether the figure of 99.9% figure cited by Kureishi is relevant or not, I rather doubt: it reeks of the old prejudice about ‘genius’ and a ‘God-given gift’, or the equally defunct and baffling notion of inspiration from the muse). Those who do succeed (whatever the measure of success), and who possess a modicum of talent, begin with a strong urge to write – which often takes on the characteristics of an obsession – and they persevere through rewriting and rewriting until they get a result. Much as I suspect Kureishi did. In marking this, I would have pointed out the clumsy repetition of ‘considerable’. Nor do I much care for ‘the more or less impossibility’, but the argument being made seems sound enough. In fact, the piece was written by Hanif Kureishi and published in issue 37 of The Reader (Spring 2010). Much more helpful than the Kureishi who tells us that creative writing courses are simply a waste of time.